Solo albums released by K-pop singers Jonghyun, Tiffany and Jessica are ranking high on the Billboard World Albums Chart. 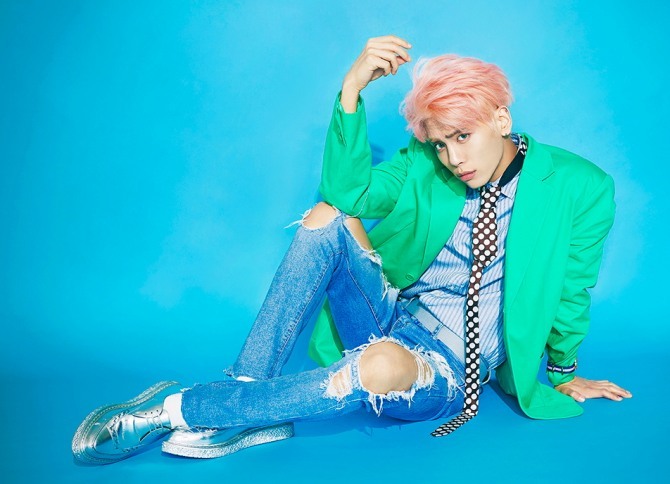 The most recent chart, which shows the results for the week of June 11, lists SHINee’s lead vocalist Jonghyun’s first album “She Is,” released on May 24, at the No. 4 spot. Reports say the position is a testament to the continued global popularity of five-member group SHINee, which debuted in 2008 under S.M. Entertainment. Following at No. 4 is another S.M.-produced album, “I Just Wanna Dance,” released on May 23 and by Tiffany of Girls’ Generation. The album moved up from its No. 10 spot the previous week. The first EP of former Girls’ Generation member Jessica, “With Love, J,” comes in at 10th place. It ranked No. 4 the previous week. Seven-member hip-hop group Monsta X, who debuted with Starship Entertainment last year, is also going strong on the list, ranking at No. 8 with its third EP, “The Clan, Part 1: Lost,” which came out May 18. The album was listed at No. 5 the previous week. The numbers are in stark contrast to the album’s local performance. On most local music charts, including Melon, Mnet and Genie, Monsta X’s album is currently ranking outside the top 100. The Billboard charts provide a weekly list of the most aired, streamed and sold songs and albums in and out of the U.S.
Its World Albums chart catalogues “top-selling world music albums,” ranked by sales data as compiled by Nielsen Music, according to Billboard’s website. K-pop musicians Akdong Musician, BTS, Seventeen, Twice, AOA and Nam Woo-hyun were also featured on the chart last month. Meanwhile, female Japanese metal band Babymetal has dominated the chart recently, having oscillated between first and second place throughout May. It currently ranks No. 2.